Get that man some goo gone. Just a total lack of effort. 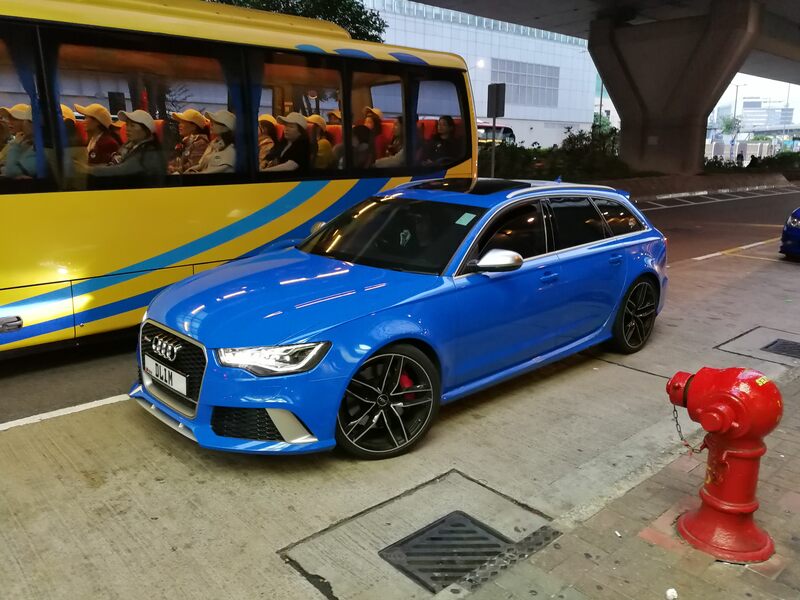 I have been traveling a bit lately but back in Hong Kong now and Sunday afternoon I saw a definite grail spotting. 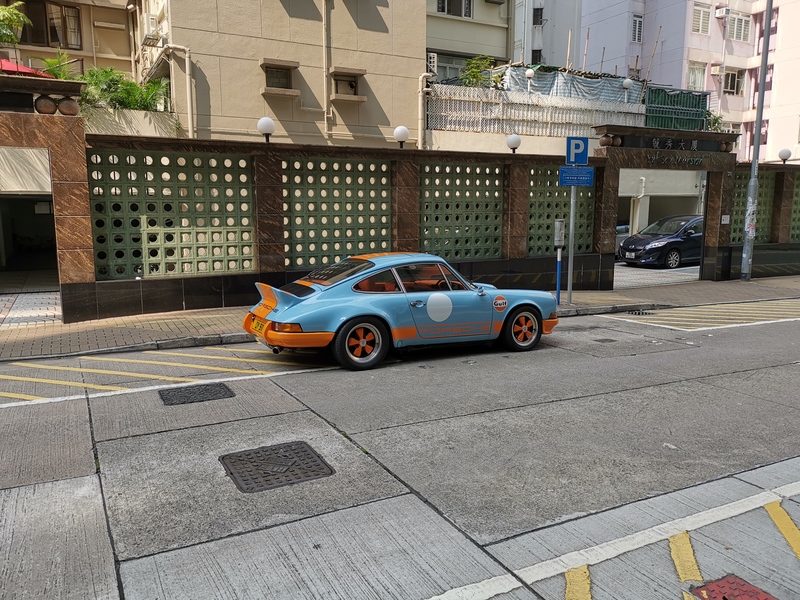 I was not able to get a photo as it came and went fairly quickly but I saw the Singer 911 Hong Kong 1 car and wow was it awesome. Saw my first Lambo Urus in person, a Red one driving along Macleod yesterday. I liked it in photos but in person not as much. It was almost like the body styling was lacking. I would take a Cayenne Turbo over the Urus based on the first viewing. 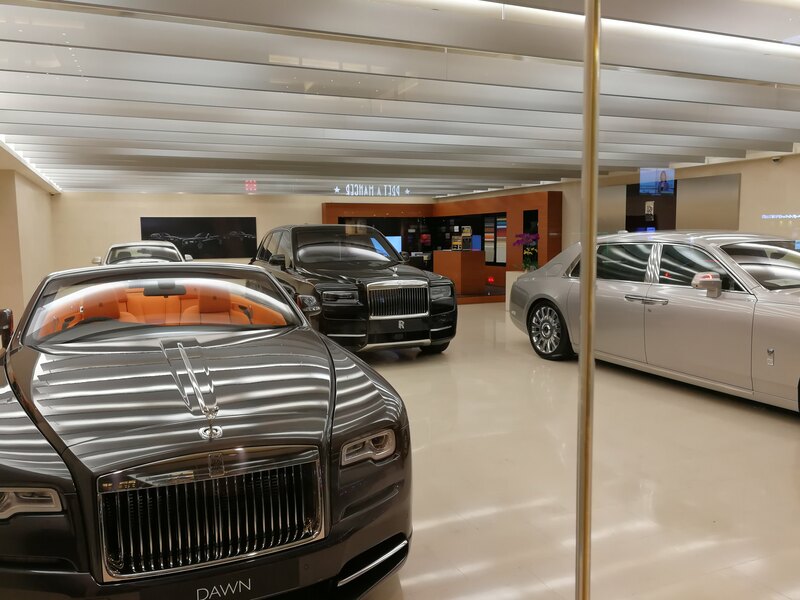 I was by Rolls Royce on Saturday night and they have the new Phantom and a Cullinan in the show room. It did not look as bad as I thought, from what I could see and maybe with the other big cars it looks in scale too. Five cars in that showroom seems a bit crowded but they have 2 more now next door in the old McLaren space which are used I think. McLaren moved a few doors down to the old Infiniti space and they had 6 cars in the current showroom, 4 570s and a 720S and a 675. The Cullinan (and the Bentley Bentayga for that matter) look like oversized London cabs. Depending on colours and such the Bentayga just looks like any other SUV to me, the Cullinan at least looks like a Rolls. 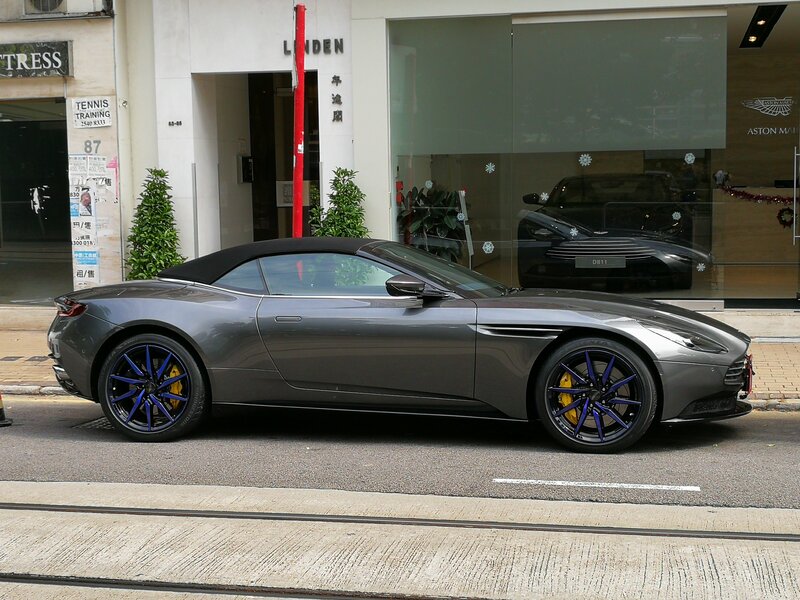 They were moving some cars around the showroom at Aston on Thursday morning and this DB11 Volante was on the street and I found the wheels to be very odd, they looked very dark in some lights, but than had this blue on them in other lights. It seemed odd for a factory spec, especially on a dark grey car. I still prefer the new Vantage over the DB11, looks wise. 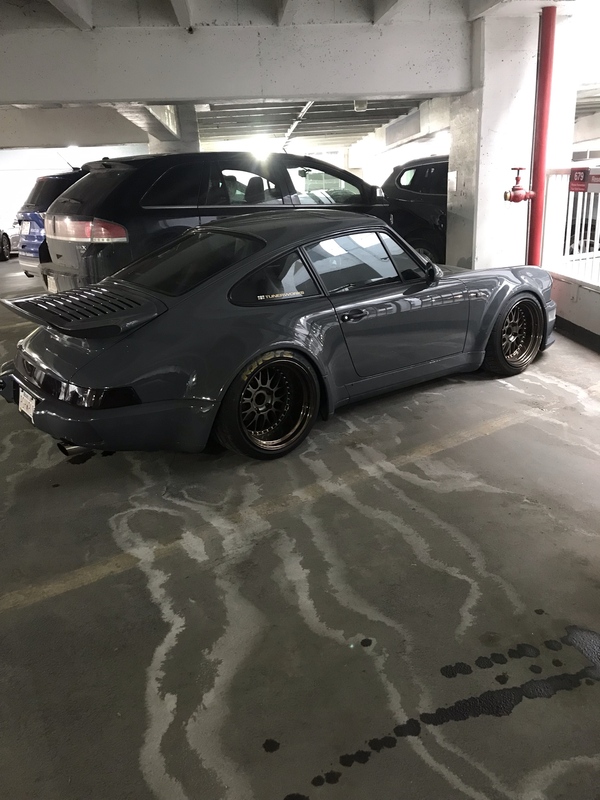 this guy parks in the same parkade as me at work, and he has a couple cool cars. 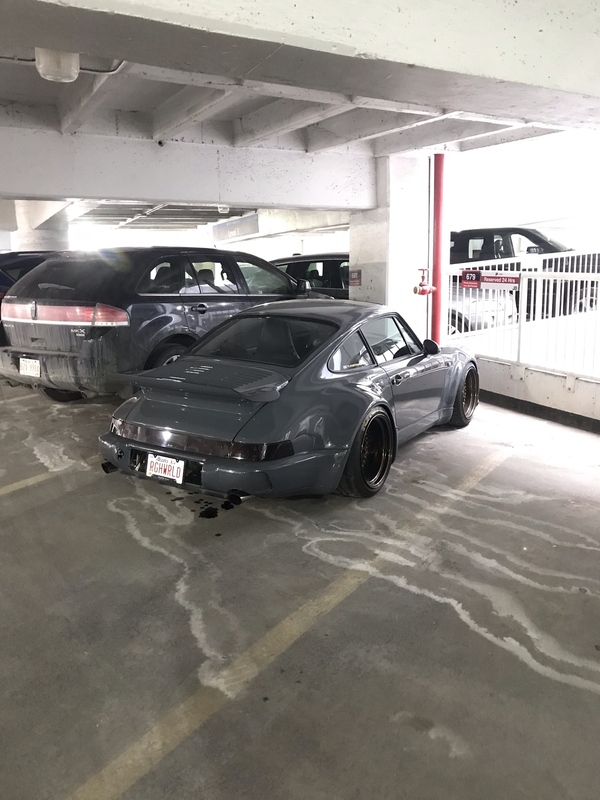 He's got a slammed older benz e class, and a clean A4, but the other day I rolled into work and saw this in his spot. Hot damn. ^^^I saw that car at the Stanley Park show in the summer on my visit, pretty cool I think. 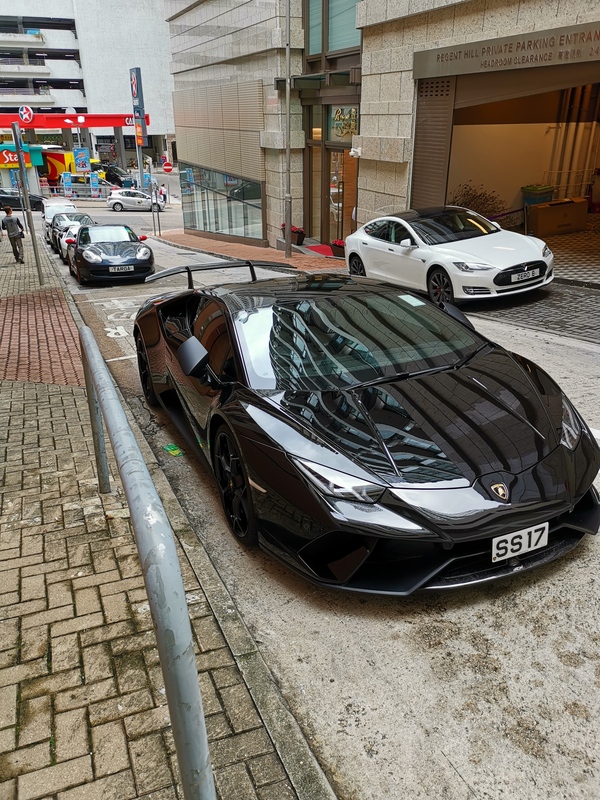 And yes that is a blacked out Huracan Performante at the top of the street, and of course never a Tesla far away. 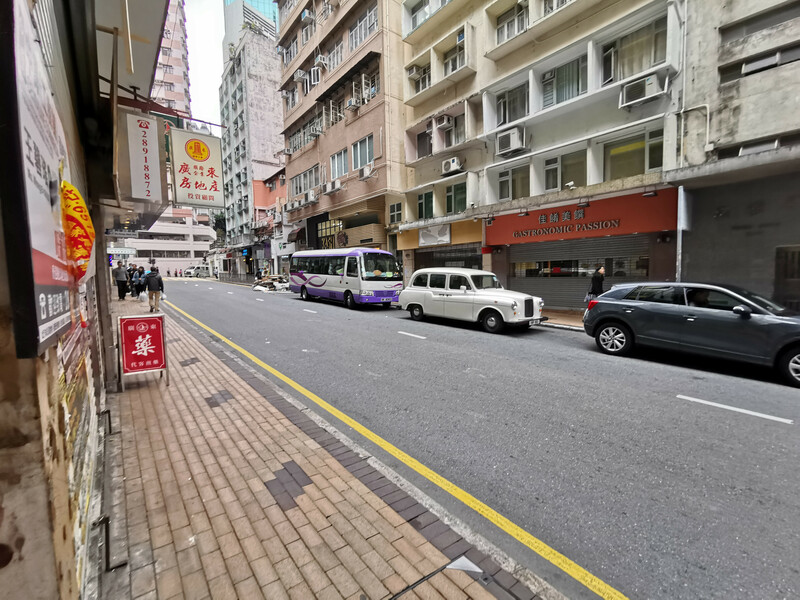 This one is from a couple weeks ago, just strange to see a white black cab anywhere let alone in Hong Kong, also testing out the wide angle on the new phone. 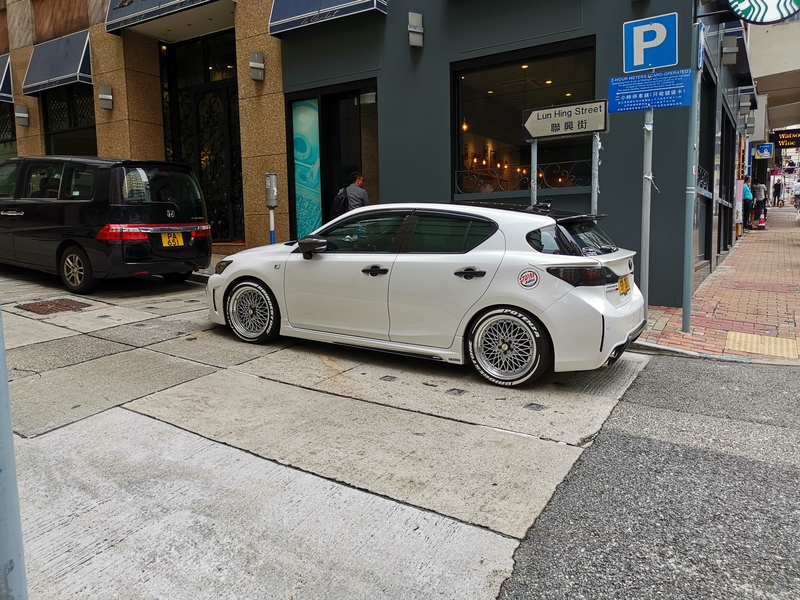 Wednesdays sightings, first a modded CT200H, not euro but you see some interestingly modded cars here, not just supercars. 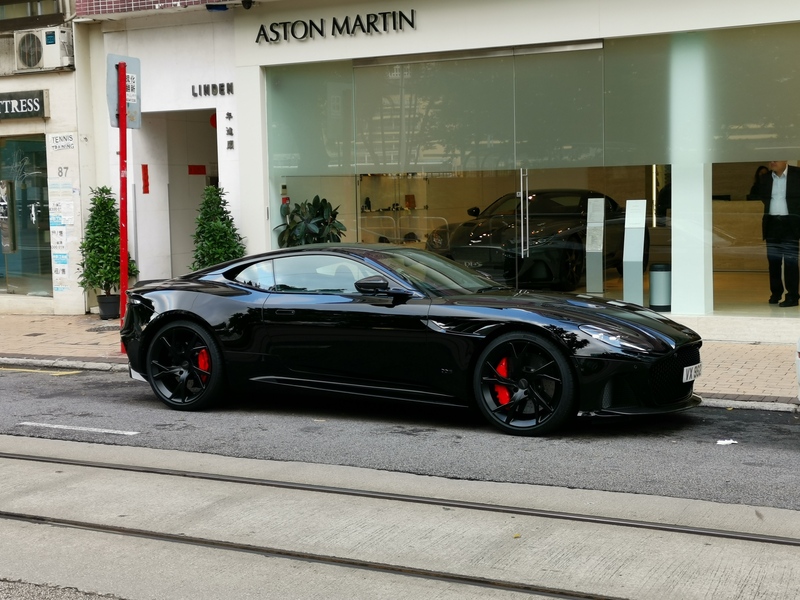 The Aston Martin dealer has had a DBS Supperleggera in the showroom for a bit and it looks good, but this blacked out version on the street was deadly. They look so much better than a standard DB11. 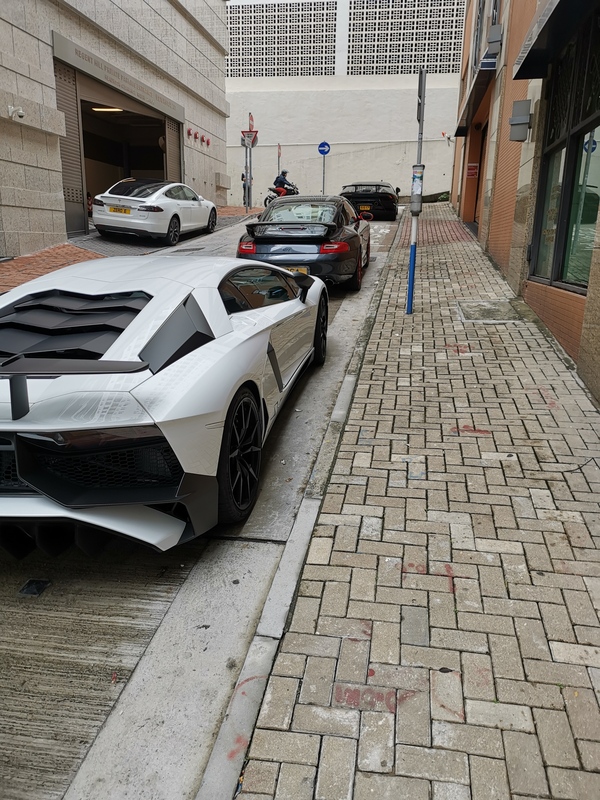 Over the last week I have seen a Lexus LFA, new GT2RS and a new TTRS with the full Audi Sport kit, but never able to grab a pick (usually riding in a taxi), but I did see this gem around the corner on Monday afternoon. 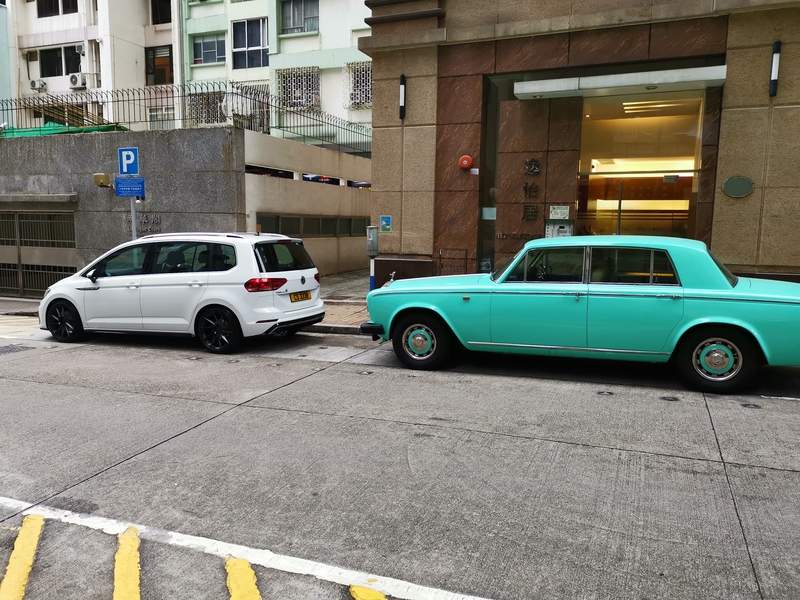 You don't see an older Rolls in mint green very often. Bonus Touran R Line looking nice too.